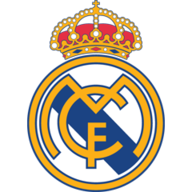 Real Madrid put the Champions League loss to CSKA Moscow behind them with a hard-earned 1-0 derby win over Rayo Vallecano at the Bernabeu. Santiago Solari and his side had been jeered off after a 3-0 home defeat by the Russians in midweek, but produced the required result against their local rivals. An early goal from Karim Benzema, who later went off injured, proved enough for victory, which moved Los Blancos up to third in the La Liga table, two points off the leaders Barcelona. Goalkeeper Thibaut Courtois, though, had to make a smart double save in stoppage time to deny Rayo, who remain second bottom, a dramatic equaliser. Los Blancos midfielder Luka Modric was presented with the Ballon D'Or before kick-off, with the home side soon starting to dominate possession when the action got under way. Real went in front with their first decent opening after 13 minutes. The ball was knocked out to Lucas Vazquez wide on the right, and he glided towards the edge of the penalty area before playing in Benzema, who turned to coolly slot into the far corner. 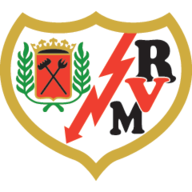 The hosts had some defending to do as the interval approached from a Rayo free-kick out on the left, but Adrian Embarba clipped the angled delivery high and wide. With 15 minutes left Modric, yet to score this season, dragged his shot wide after a break from midfield. Courtois saved from an acrobatic effort by substitute Alex Alegria and also pushed away Emiliano Velazquez's follow-up. Real now head off to the Club World Cup campaign in the United Arab Emirates.